We have certain meals on our Master List especially for those insanely, busy evenings. (You know the ones: you get home just in time to throw something in front of the family to eat, inhale the food and run out the door again). On these wild evenings it can be tempting to grab a bag of some kind of takeout. But, that choice is expensive and, generally speaking, not the best food for any body. On frenetic nights think about breakfast fare. With the right choices, traditionally breakfast foods can fuel a busy evening and can be on the table in just a few minutes. 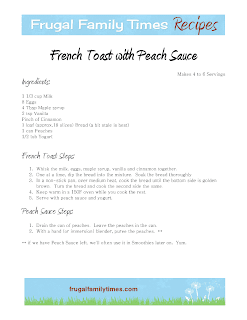 French Toast with Peach Sauce is one of our favourites. This is one of those meals that get no moans or groans from the kids. On a busy night, who has the time or patience to listen to any of that. (You do? I didn't think so.) This is definitely one of their favourites. Serve it with a dollop of yogurt or a glass of milk, and you've got all the food groups covered. Whisk the milk, eggs, maple syrup, vanilla and cinnamon together. Keep warm in a 150F oven while you cook the rest. Serve with peach sauce and yogurt. 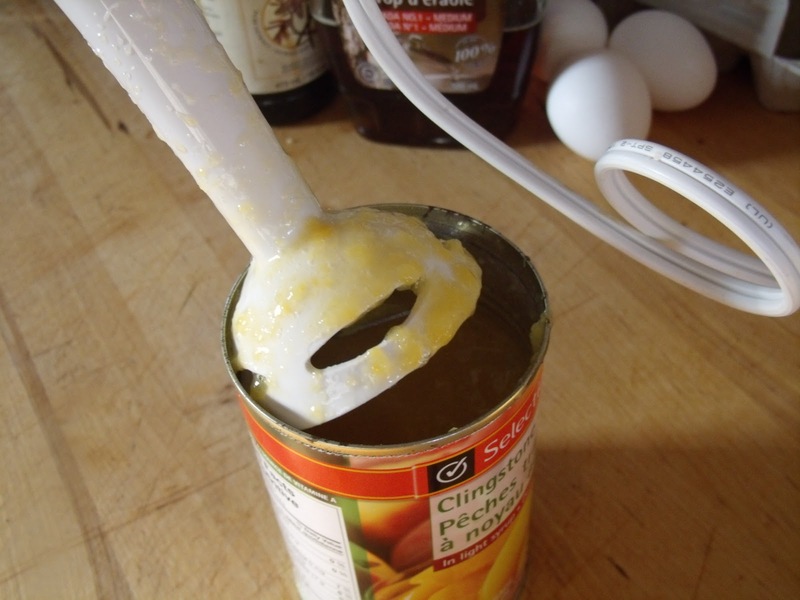 * if we have Peach Sauce left, we'll often use it in Smoothies later on. Yum. 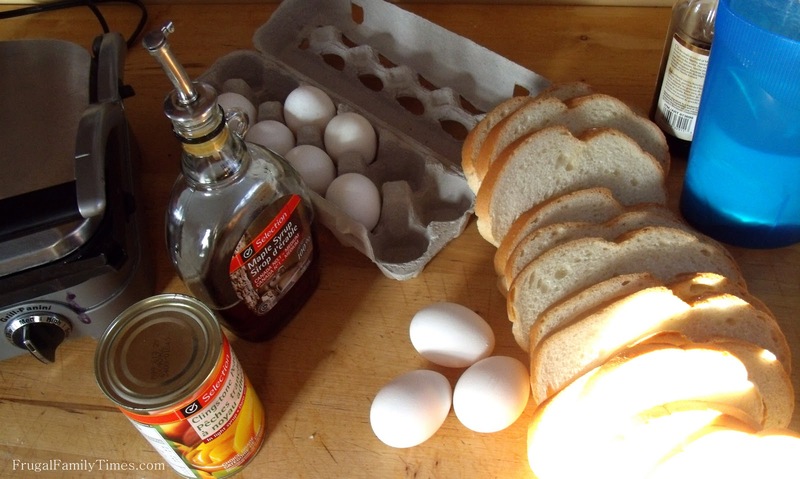 Do you have a breakfast for dinner at your house? What do you serve? We love French toast mmmmmmmmmmmmmm, thanks for sharing!!! Mm! That sounds lovely. Peaches and French toast go so nicely together. 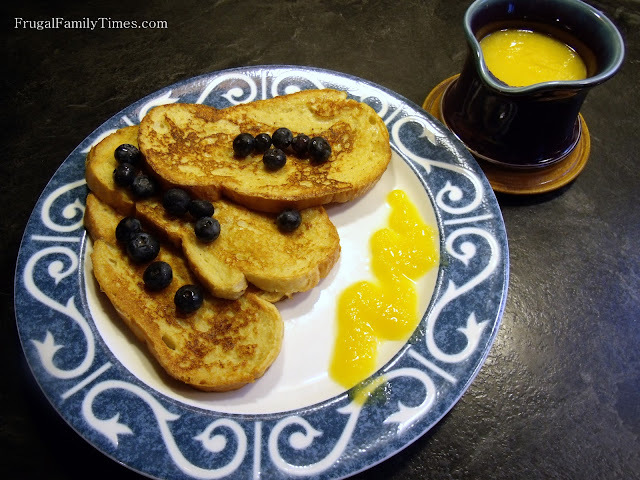 When peaches are in season and the whole basket seems to ripen all at once, I will grill a few to serve with French toast with maple syrup. So good, too. I like your option- we make our own maple syrup but have already run out. I will resort to buying some locally soon but I love that this is a tasty option when you're out of syrup.